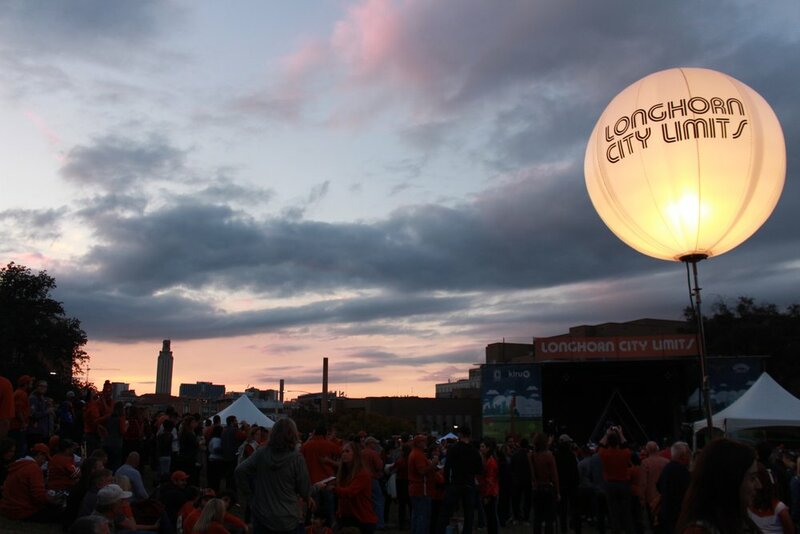 Longhorn City Limits is a play on Austin’s biggest music festival, Austin City Limits. Decked out in orange and white, thousands of devoted Horns fans arrived hours before kick off on Nov. 7. The University of Texas at Austin has always been known for its prideful home football games, but this year the Longhorns are taking the festivities up a notch. And the combination of one of Austin’s prized attractions and pre-gaming for Texas athletics is a match made in heaven. One of the main attractions of being a student or alumni of The University of Texas at Austin are attending the home football games during the Fall. In December 2017, UT hired new Athletic Director Chris Del Conte, who was previously the AD at Texas Christian University. As soon as Del Conte stepped on campus, he recognized the game day atmosphere could definitely use a tune-up. So, for the first season as Texas’ AD, he ushered in the idea of Bevo Boulevard. The concept of Bevo Boulevard. was to shut down San Jacinto Boulevard. and DeLoss Dodds Way, just in front of Darrell K Royal Memorial Stadium, where the Longhorn football team plays, and set up pre-game festivities for all the fans. Silvia Huntsman and Tom Roudedusa casually sit on the grass facing the stage, waiting for the last performance of Longhorn City Limits to go on. One of the prized festivities offered by Bevo Boulevard is Longhorn City Limits. In unison with Austin City Limits, UT provides renown performers to put on a show for the fans attending the game. Artist such as Aloe Blacc, Hayes Carll and Jimmie Vaughan have graced the stage thus far. The free concert series takes place on the LBJ Library Lawn, accompanied by delicious Austin famous food vendors such as Stubb’s BBQ and Espadas de Brazil. For the final game of the season against Iowa State on Nov. 17, the performers were Austin-natives Mobley and and headliner Ghostland Observatory. With kickoff at 7 p.m., the event started comfortably three hours before at 4 p.m.
A huge crowd gathered on the LBJ lawn to enjoy live music and great atmosphere. The Longhorn-proud observers sat on their blankets in the grass, while few others surrounded near the stage. The setting was very lax as as a cool Mobley appeared on stage, wearing a white dress shirt, black vest, top hat and reflector sunglasses. “My name is Mobley and I’m gonna play some music for y’all,” the Austin musician said soon after. The crowd began to gravitate toward his energy on the stage. As his set went on, the crowd interaction only seemed to increase as he gave a few of those at the barricade a set of drumsticks and placed a drum in the crowd so they could beat it when he commanded of them. The applause grew louder after every song, and at one point he called three volunteers on the stage to assist him with his routine. When the set ended there were muttered comments among the crowd. “That was really neat,” said one attendee with thoughts of surprised satisfaction. During the a 30 minute intermission, fans grabbed a bite to eat as they mingled. The Longhorn cheerleaders made an appearance as cheerfully handed audience members orange glow sticks. The pre-game festivities attracted Longhorn fans of all ages. Ghostland Observatory stormed to the stage in style. The keyboardist was cloaked in a cape while lead singer, Aaron Behrens, wore a blazer they both visibly had a Longhorn football jersey on underneath. An incognito fan. When Behrens took his jacket off, you could see the last name on the back of the jersey wrote “Ghostland Observatory” and that particularly aroused the crowd of students and alums. The flashing and sporadic lights coming from the stage energized the fans as the band’s mojo flooded throughout LBJ Lawn. They played a variety of their popular work such as recent release track “See You Later Simulator” and “Glitter” off their album Codename: Rondo from 2010. Behrens dance moves reflected in the crowd, as the concert dissolved into a dance party. After the performance, there was 30 minutes left until game time, which was more than enough time for the crowd to make it to the stadium and get to their seats before kickoff. The Bevo Boulevard experiment along with Longhorn City Limits was a wild success in its inaugural season, and the fan engagement was through the roof as an all day experience for Longhorn football fans. These fans cannot wait for what Del Conte and the Longhorns have in store for next season. Especially since the team itself has strengthen from last year, seeing that they’ll appear in the conference championship game on Dec. 1. Things are certainly looking up for the team and the fans and the UT Austin campus is certainly the place to be on Saturdays in the fall.